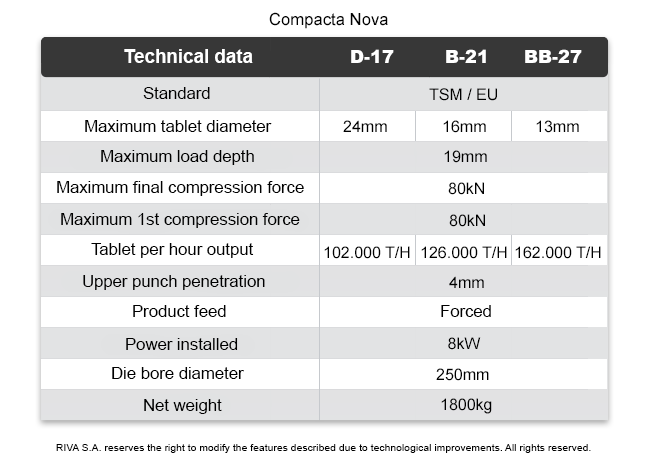 Compacta Nova - Riva S.A. 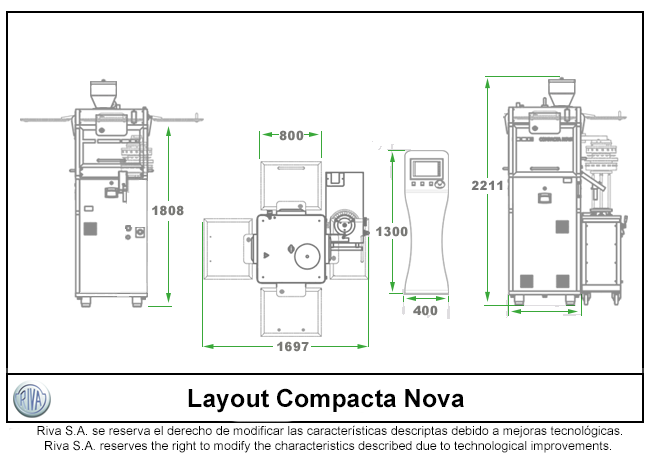 The Compacta Nova is a rotary tablet press designed for a medium scale single layer tablet production. 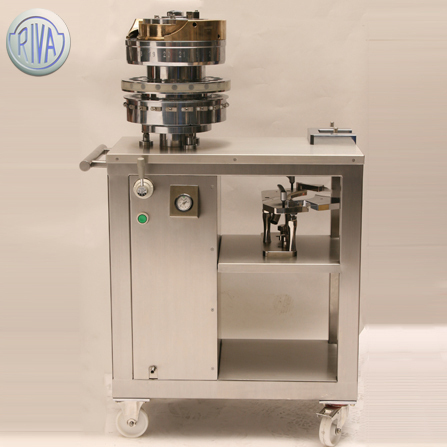 It has a standard turret head removal system that allows a quick tooling exchange, obtaining a significant time reduction in equipment cleaning and preparation. Its solid structure with transparent polycarbonate upper doors allows access and visibility into the work area. 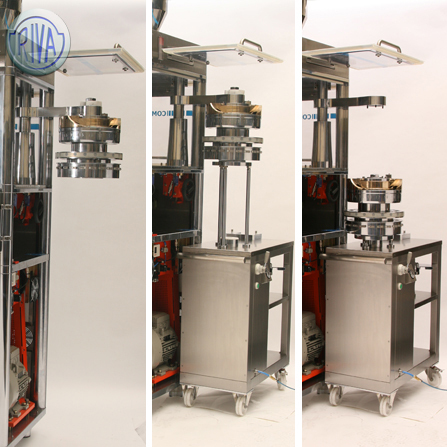 The compression and pre-compression rolls are maintenance free, paddle feeder is controlled by an independent variable speed gearbox. 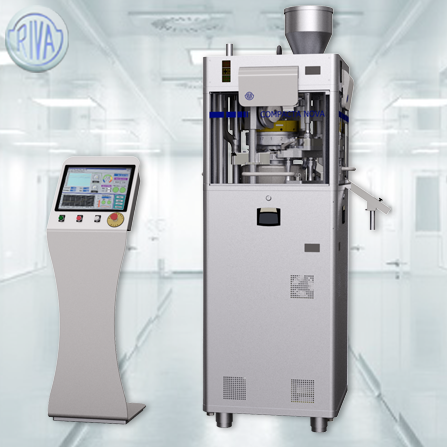 The machine is controlled from a modern and elegant stand formed by a touch screen panel PC with a dedicated monitoring and control software that complies with the CFR 21 Part 11 standard. It allows individual measurements of compression forces and automatic weight control. 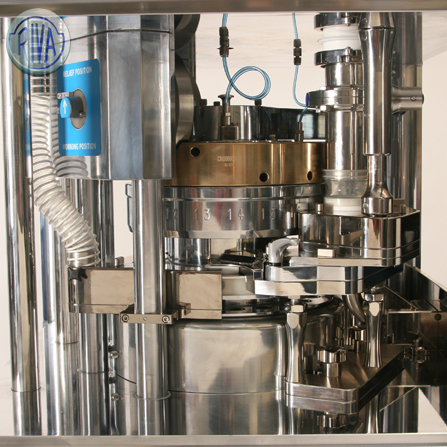 It also has an automatic lubrication system that supplies lubricant to all internal and vital areas within the machine. 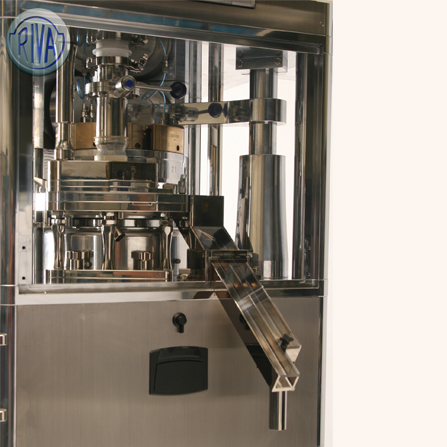 Fully manufactured under GMP guidelines and designed for use with TSM or EU-compliant tooling. © Copyright RIVA S.A. All rights reserved.